LaGlam Minerals supports salon owners offering YOU the opportunity to come on board as a stockist of our award winning brand and increase profit within your business! With the ever increasing demand of Australian made and owned mineral products, salon owners can take advantage of this and enquire to get LaGlam in store today! 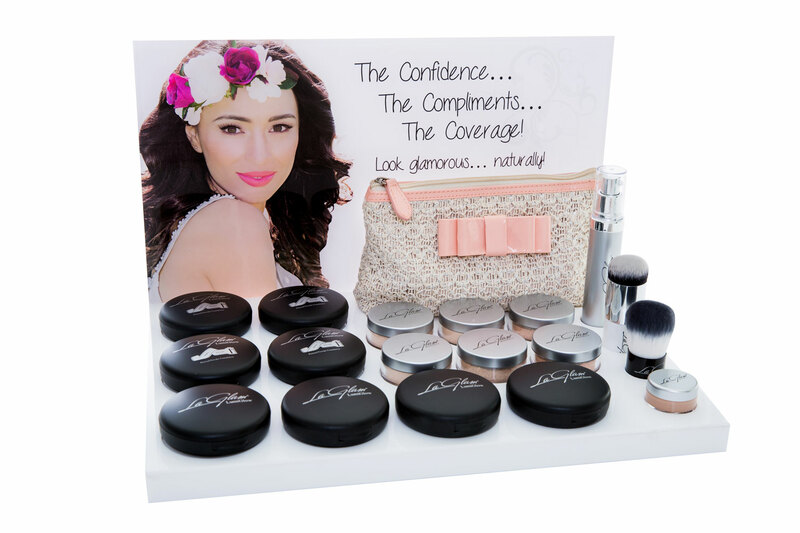 All packages purchased include FREE make up display stands, testers, poster, retail bags and customer brochures. PLUS a salon listing on LaGlam Minerals website and Facebook promo! Interest free payment plan options available*. VIP launch night to kick start your sales hosted by brand owner and award winning makeup artist Amanda La Monica*. * Based on the size of package purchased. Enquire about the LaGlam Salon Sampler for your chance to test run and get a feel for how LaGlam can benefit your own skin and business. *Limit 1 per salon. Enquire about the LaGlam Salon Sampler for your chance to test run and get a feel for how LaGlam can benefit your own skin and business. 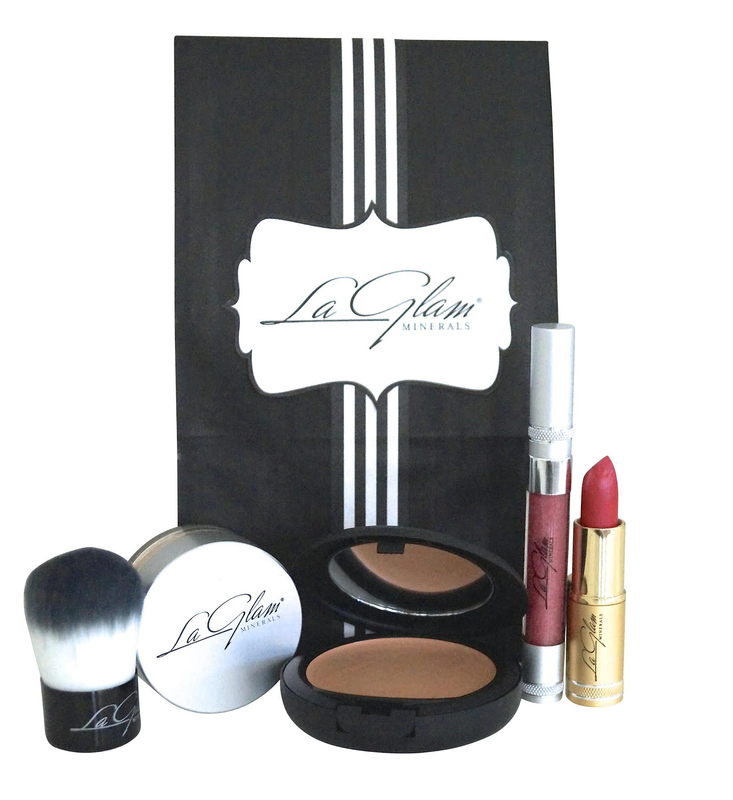 Complimentary Display and testers upon purchase of LaGlam Packages. 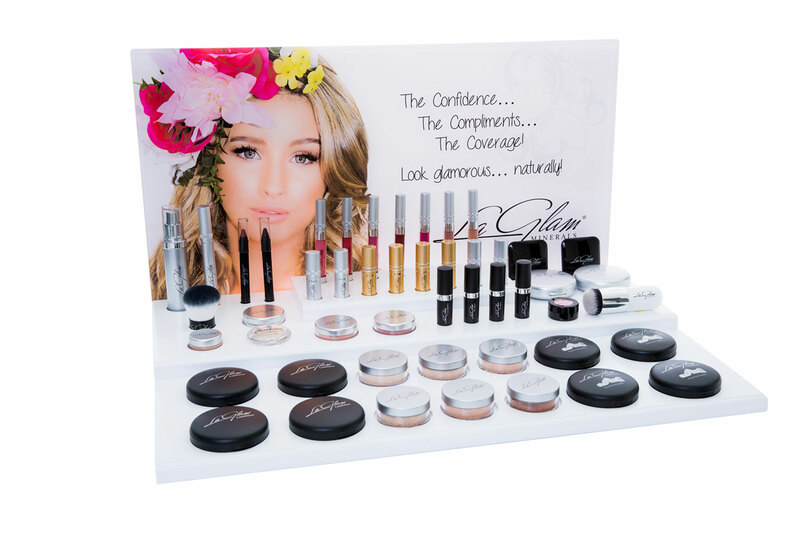 As a stockist of LaGlam Minerals, I would highly recommend this fabulous makeup range, with wonderful colour selections that compliment all clients. The products have incredible staying power that you can trust. The foundation is the best I have ever used, with the versatility of using it in just a powder form or adding a drop of water to create a very high quality flawless finish for all memorable events. My clients love the products and they purchase them with confidence. The service I have had from this company is first class.